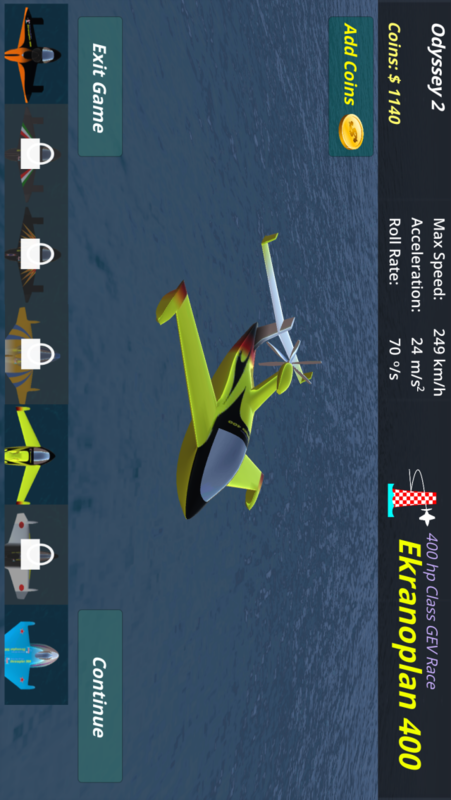 Pilot your own Ekranoplan on your Device! Incredible sensations await you! Pilot your own Ekranoplan or GEV - Ground Effect Vehicle on 20+ Air Races! Ekranoplan 400 is the First real GEV Air Racing Game! Attention! The races are more and more technical and require an optimal concentration! I suggest you to start with the initiation Race to learn to control your Ekranoplan. After that, try to be the Best and Win all Races! Each acrobatic is scored and earns you more or less points. Try to go to the Ultimate Air Race and win it to get the Gold Cup and become the Champion of Air Racing! 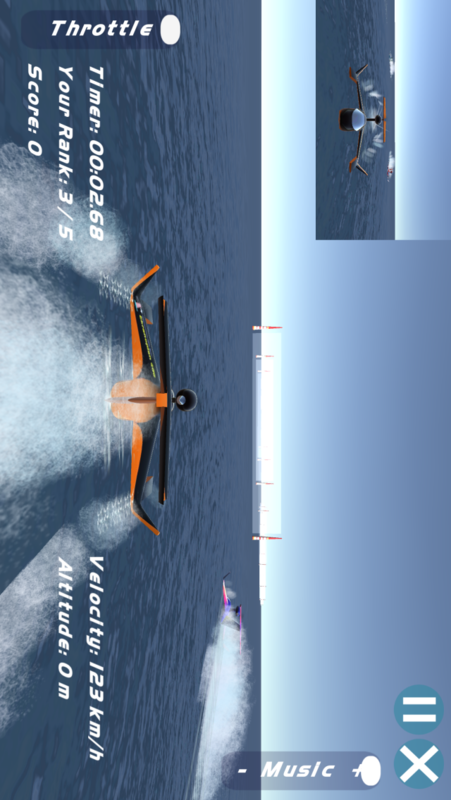 • The first real GEV Air Racing Game!